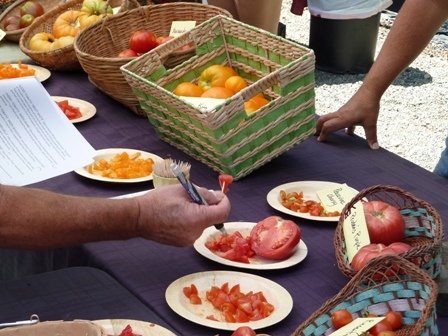 New plantings are at the highest risk of being eaten and damaged. 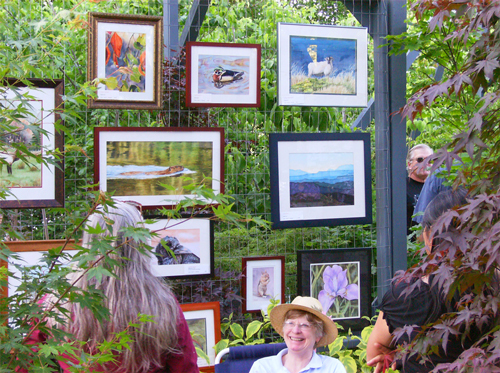 Often, new plantings of even deer-resistant plants need fencing or repellents. While no repellent works 100% of the time, the repellents listed below have proven to be the most reliable. Please read the directions on each package and reapply as directed. Liquid Fence – Liquid This deer repellent works great! A blend of garlic, soaps, eggs, and a sticking agent, this easy-to-use repellent is non-toxic to animals and plants. Spray Liquid Fence directly on plants to keep deer away. It is environmentally safe, biodegradable, easy-to-use, long-lasting and is safe to use around your family and pets, so you can use it worry-free. And the cruelty-free solution won’t hurt the deer! Liquid Fence – Liquid comes in a convenient ready-to-use spray bottle and also in a concentrate. Liquid Fence – Granular This unique biodegradable granular repellent is easy-to-apply on and around flower beds, ground cover and lawns. And plants will love the diatomaceous earth-based formula! 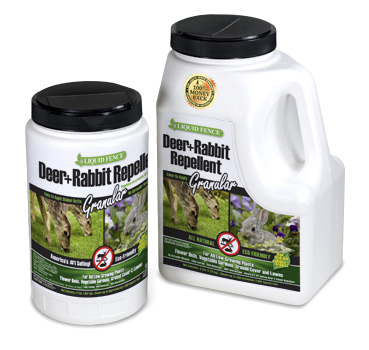 We find this repellent as effective and even longer-lasting than Liquid Fence – Liquid, and is a great option for protecting low-growing plants from deer (and rabbit) damage. Blood Meal Known mostly as an organic fertilizer, Blood Meal has been used for years as a deer repellent by sprinkling it on leaves of most plants. Blood Meal must be reapplied after rain or overhead watering. Deer Netting Protect your trees and shrubs from deer and other animals with Deer Netting. Drape over plants or create a netting fence to keep pesky animals from making a meal of your treasured landscape. 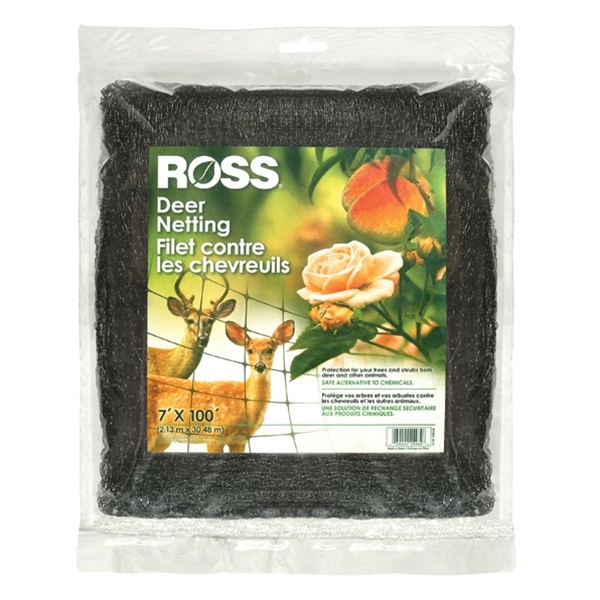 Lightweight and easy to handle, Deer / Garden Netting can be cut with scissors. 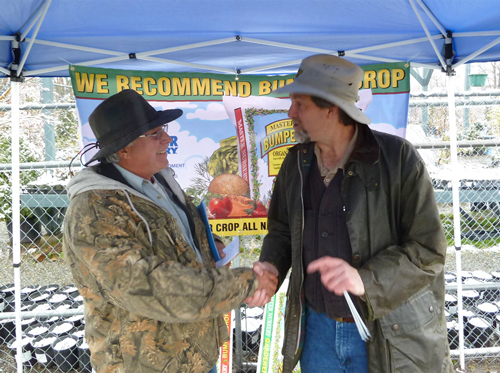 The UV-protected plastic mesh will not rust or rot and is durable enough to reuse season after season. Deer Fence Metal or plastic fencing surrounding larger shrubs and trees is the most reliable way to keep deer away from newly planted and non-resistant plants. Plants should not extend beyond the protective barrier.